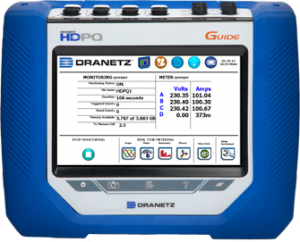 Power Quality instruments are no different than anything else – you get what you pay for – you just get much more from the Dranetz HDPQ® Guide than with any other instrument in its class! 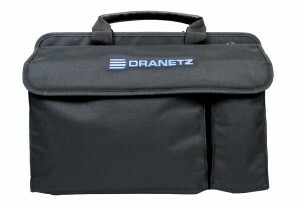 Find out if this package is right for you, Call Dranetz NOW! AC Adapter: 100-240Vac 50/60Hz, includes: US, EURO, UK, AUSTRALIA and CHINA plug adapters. USB male A to USB Micro B, 6 foot cable. 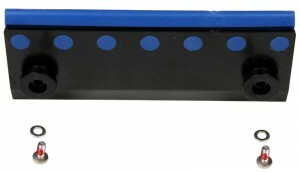 Keyhole mounting kit for HDPQ. 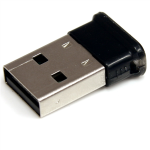 USB Bluetooth 2.1 adapter, class I. 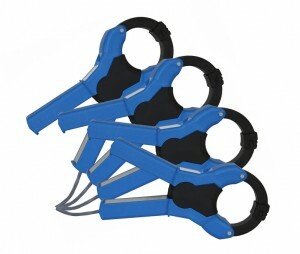 Includes: 8 – Six ft. (183cm) measurement cables: 4 Black, 4 White; 4 – Black alligator clips; 4 – White alligator clips; 4 – Black 25 cm stackable jumpers. Compatible with portable and permanent systems with 4mm voltage connectors. 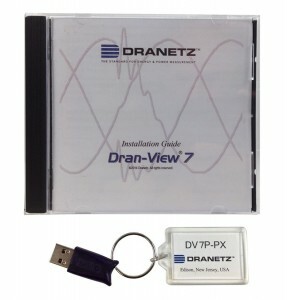 1.5V output, Dranetz Hypertronics connector, 3 meter cable, 50mm dia. maximum conductor size. Dran-View is a Windows based software package that enables power professionals to simply and quickly visualize and analyze power and energy monitoring data. It is a snap to navigate, delivers automated functionality and incorporates powerful analytical capabilities and customizable options to meet the needs of every user. 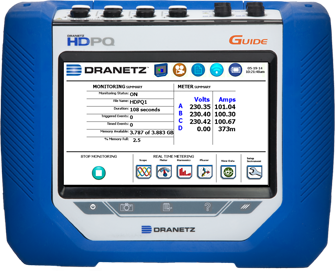 Dran-View is successfully used by thousands of customers around the world, and has become the industry leading power management software tool.